This is matelassé as only Coyuchi could do it—relaxed and organic. Woven from pure cotton, in a free-form pattern that evokes water flowing over rocks, it’s stone washed for a supple hand and great, puckered texture. 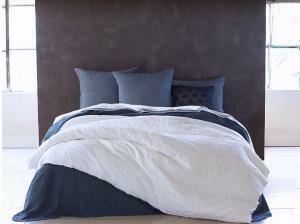 Backed with organic cotton percale so it’s the perfect year-round weight. Finished with a simple knife-edge and coconut shell buttons. Inside ties.